IWF - So Whatever Happened to Teacher Raises? So Whatever Happened to Teacher Raises? Since the end of the recession in 2009, many states have increased K-12 spending. Last year, for example, states provided more than $294.8 billion in K-12 dollars, a 4 percent increase from last year. But the average teacher pay in 39 states declined between 2010 and 2016, according to the Center on Budget and Policy Priorities, a think tank that pushes for more education spending. …In many cases, chief financial officers, superintendents, and school board members have decided to use the extra cash to pay down pension obligations, backfill support staff laid off during the recession, or hire more teachers to decrease class sizes. In Arizona, Republican Gov. Doug Ducey…set aside more than $644 million to boost teachers' pay by an average of 20 percent by 2020. Teachers, he said, would receive a 10 percent raise this fall. 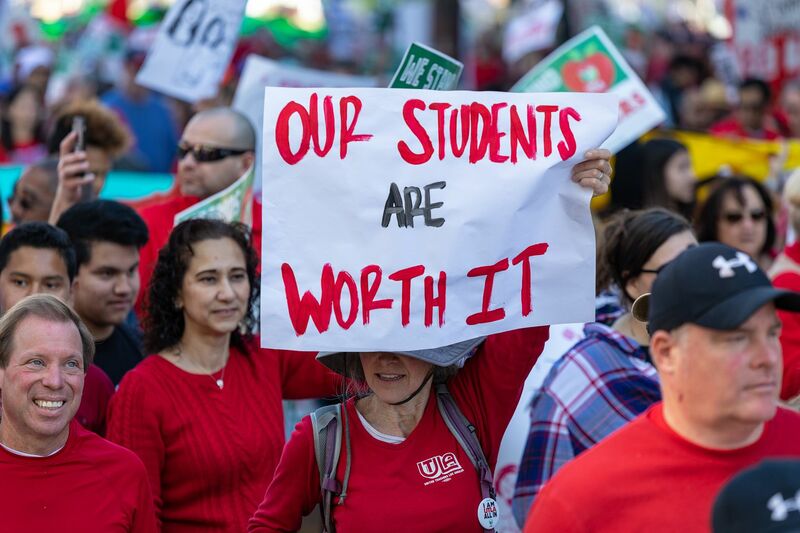 But that money, all of which was placed in districts' general funds, was spread out in uneven ways, with teachers in various districts receiving anywhere from no raise at all to, in one instance, an 18 percent raise…Some Arizona districts have told their teachers they won't be able to afford to give them 20 percent raises by 2020. In other words, state legislatures could make all the money in the world available, by reducing spending in other areas or raising taxes. But that doesn’t mean is local schools boards will spend it as intended. On average, more than one-quarter of state spending is for K-12 education. Taxpayers want more education dollars funding student classrooms, in particular higher salaries for great teachers. During election years much of the attention focuses on Washington, D.C., or state capitols. Reports like these of additional funding intended for teacher salaries being diverted elsewhere highlights the importance of our local school board elections. Attending local school board meetings, supporting board candidates, or even becoming a candidate oneself, are all good ways to help hold our local elected officials accountable to students, teachers, and taxpayers.